Our 1st and 2nd grade classrooms are using the Moby Max assessment to challenge students on fact fluency. 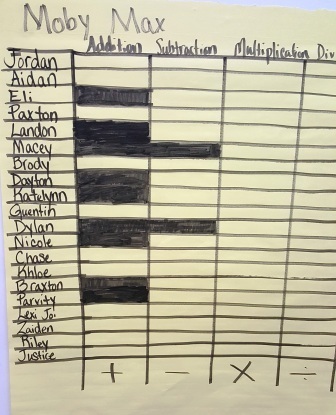 When students achieve 100% completion on their addition, then they are able to move on to the subtraction facts. We are hoping this will help build a stronger foundation in mathematics for our young minds. Great work teachers!! !